Dr. Carey Cullinane is a board-certified general surgeon based in Long Beach, California. She graduated from the Tulane University School of Medicine in 1995 and then completed her residency at the Tulane University. She has also done post-doctoral fellowships in Surgical Oncology and Clinical Cancer Genetics at the City of Hope National Medical Center. 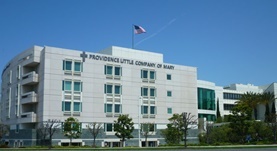 Dr. Cullinane has been practicing for more than 20 years and is currently affiliated with the Long Beach Memorial Medical Center and Providence Little Company of Mary Medical Center. She has also authored several peer-review journal articles. Dr. Carey Cullinane has contributed to 3 publications. Management of pain and nausea in outpatient surgery. 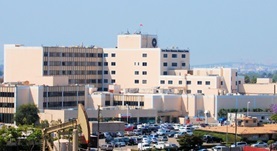 Juarez, G., Cullinane, C.A., Borneman, T., Falabella, A., Ferrell, B.R., Wagman, L.D., Lew, M.; Pain Manag Nurs. 2005 Dec.
Effect of pregnancy as a risk factor for breast cancer in BRCA1/BRCA2 mutation carriers. Cullinane CA1, Lubinski J, Neuhausen SL, et al; Int J Cancer. 2005 Dec 20. Limited family structure and BRCA gene mutation status in single cases of breast cancer. Weitzel, J.N., Lagos, V.I., Cullinane, C.A., Gambol, P.J., Culver, J.O., Blazer, K.R., Palomares, M.R., Lowstuter, K.J., MacDonald, D.J. ; JAMA. 2007 Jun 20.